Nintendo announced today that it will be offering a new Nintendo 3DS for only $100 this coming Black Friday. This is the lowest ever that the official device has ever been sold for. There are two new models that will be offered for that price on November 25th, one black and the other is white. Both devices will feature the Mushroom Kingdom character including Mario, Luigi, Toad, and others. 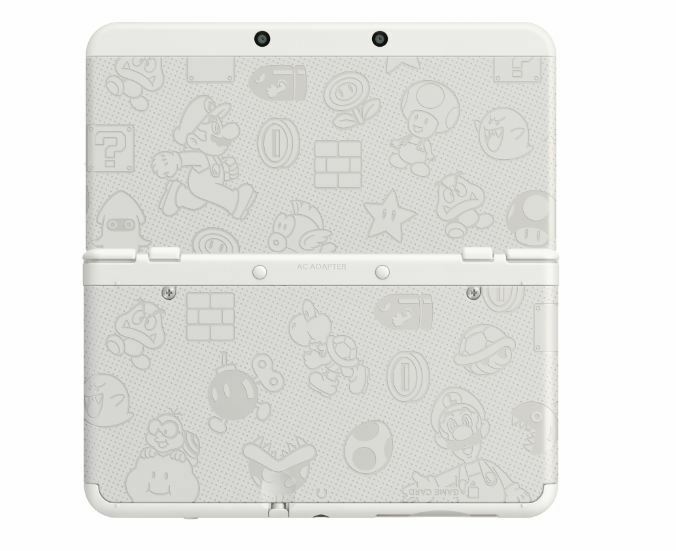 An important note is that these are not the XL variants of the 3DS but are the smaller regular size model. Furthermore, there is no pack-in game so you will still need to purchase a game for the new device. Nintendo currently sells the device for $150 as in bundled with Super Mario 3D Land, while the larger 3DS XL model sells for about $200. This is the first offer that has been announced by Nintendo for Hardware while other competitors including Microsoft and Sony have already announced their deals. Keep checking back to get all the latest Black Friday day sales announcements!